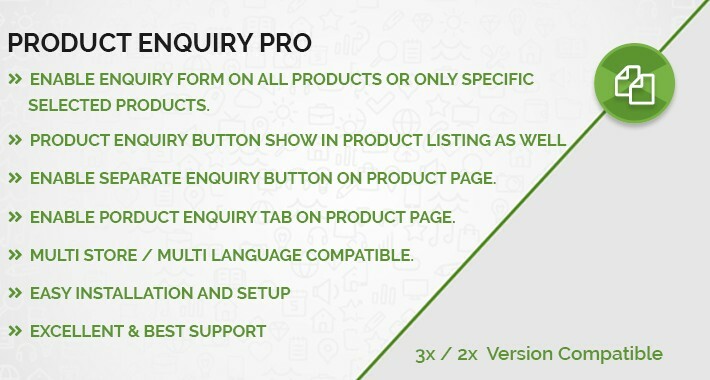 This is a Product Enquiry Pro extension. 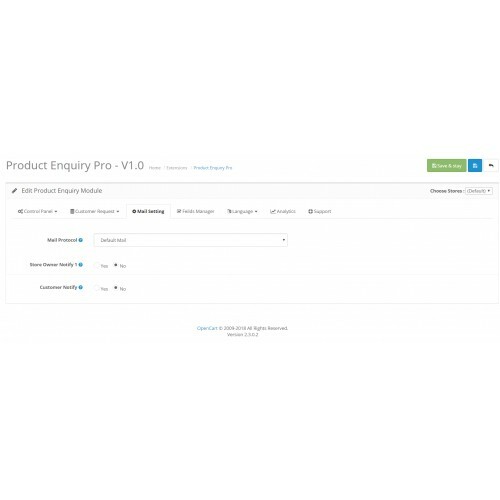 with this extension, you can create the product enquiry button for each or selected products. 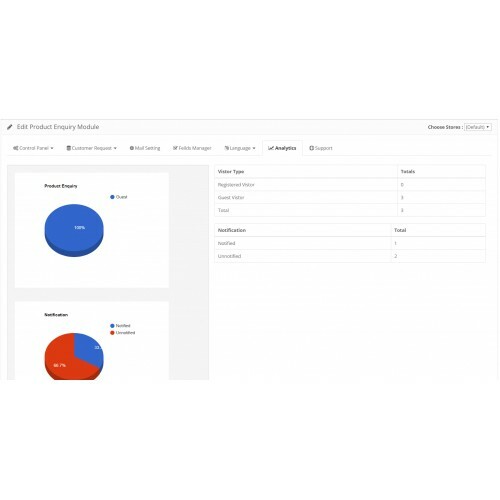 and all customer enquiry saved in the database. 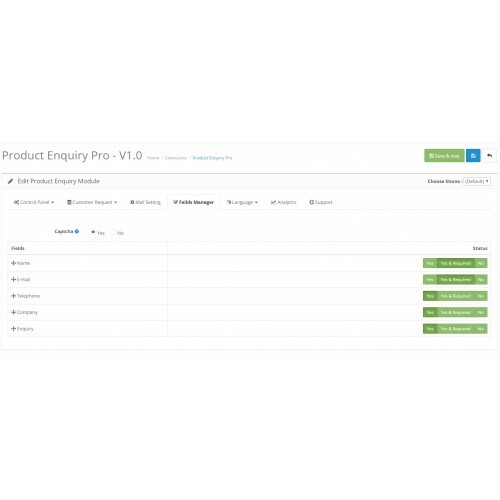 so you can easily manage product enquires. 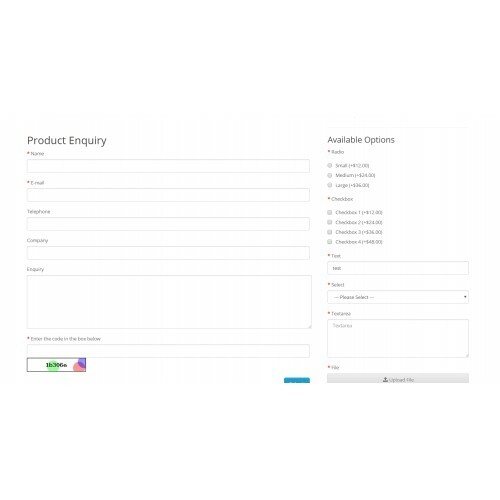 * Enable Enquiry form on all products or only specific selected products. 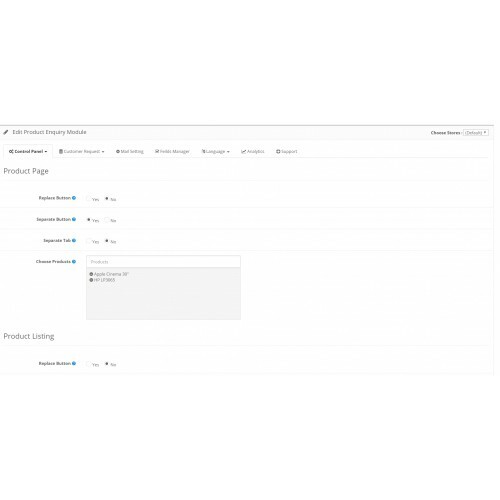 * Enable Separate Enquiry Button on Product Page. 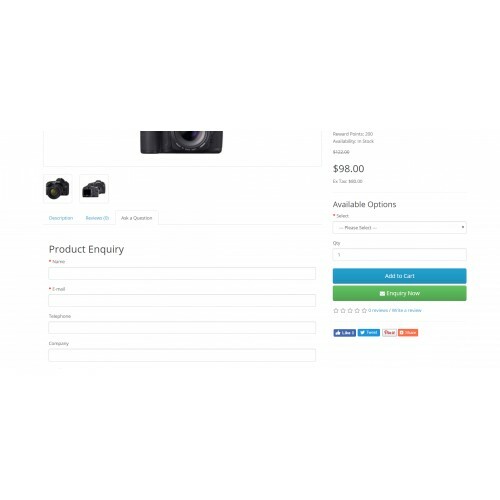 * Replace Add to cart with product Enquiry Button on product page or product listing. 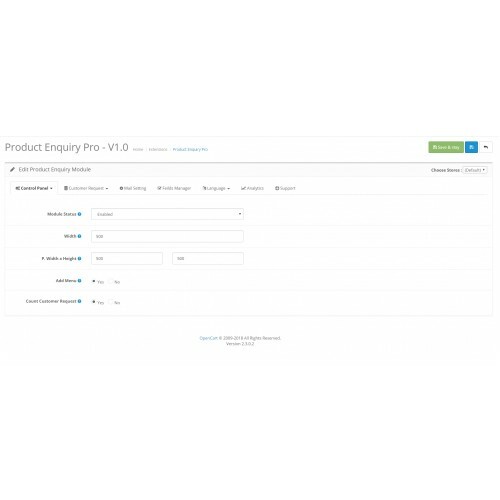 * Enable Product Enquiry tab. 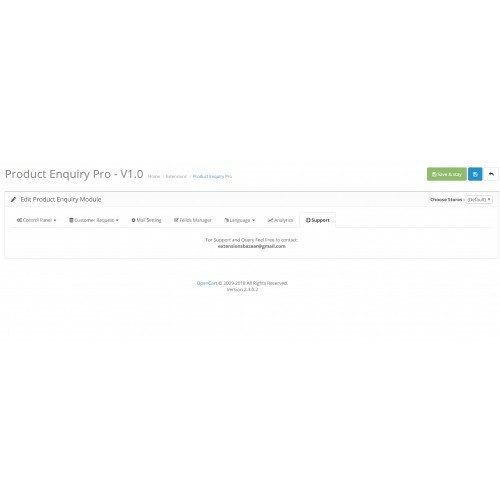 * Product Enquiry Button Show in Product Listing as Well. 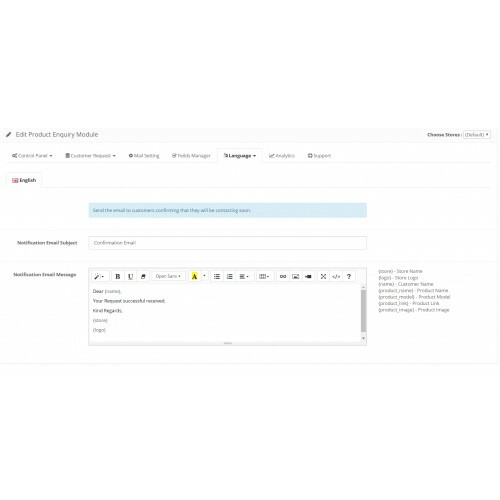 * Easy to manage Form Fields from adminpanel (Name,Email,Telephone,Company,Enquiry,Capcha). 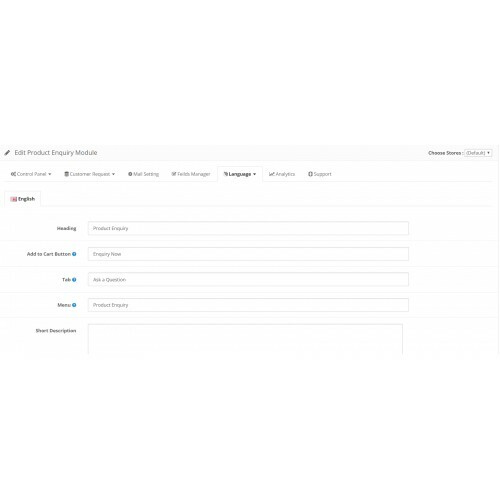 * All enquires are saved in database. * Well Managed users request history. 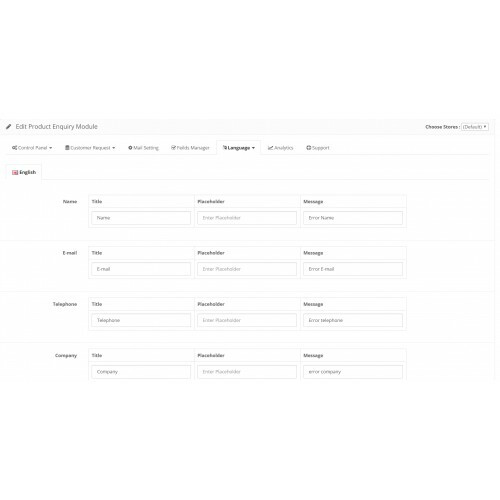 * Allow admin notifications on the new request. 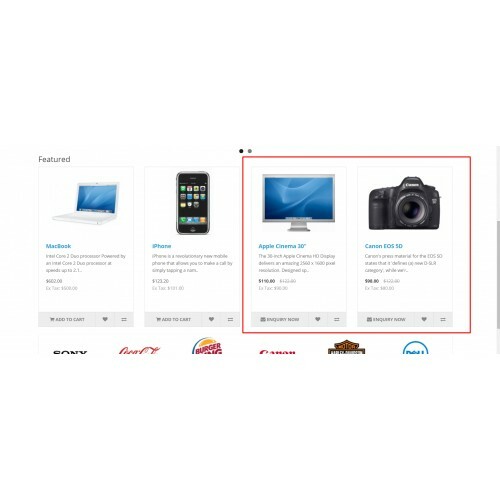 * Compatible with all major custom opencart Themes. * Compatible with Multi Store. 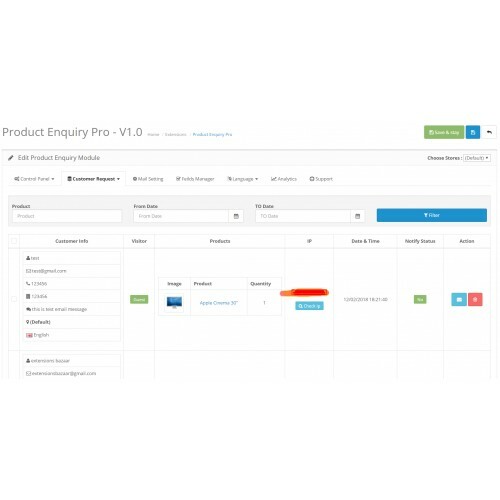 You can try out Product Enquiry Pro Module without having to install.